Visit our Facebook page for more videos and ideas. Load Capacity Clockwise 100 lbs. Load Capacity Clockwise 250 lbs. Load Capacity Clockwise 750 lbs. Shipping Weight 10 lbs. Shipping Weight 16 lbs. Shipping Weight 26 lbs. 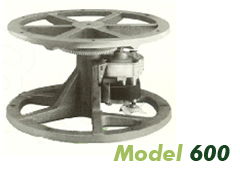 Ask about speed options for Models 500 and 600. All turntables rotate clockwise. Counter clockwise rotation upon request. *The following prices apply to models as illustrated in our literature. All units are regulary equipped with 115 Volts, 60 cycle AC induction Motors. 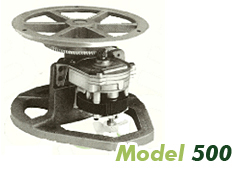 All units revolve the turntables disc clockwise in a horizontal plane. Motiondisers may be ordered with additional features at extra prices as listed above. The total net price of the basic unit will be the net price of the basic unit plus the net price of the additional features. 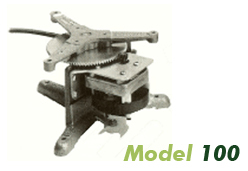 Be sure when ordering to specify the correct model of Motiondiser and type of motor required. All pricing F.O.B. from Elk Grove Village, Illinois (Chicago) and subject to change without notice. Terms are: Net 10 days upon approval. � 2004-2018 Young Electro-Mechanical Company, Inc.